So I am attending the law enforcement academy once again and noticed this in their vehicle garage. I was going to see if I could acquire it. I'm just curious what's it worth in case they ask me a price or something. Also any information on it would be great. Looks like same bar and cans used by NYPD. All are Signal Stat. I noticed an Amber lense on the back side. The can lights was originally made by Trio Sales as model T-2 and was sold by Signal-Stat in white and used on the NYPD bar. DO NOT tell the seller this but these lights when sold as ”Adam 12” lights in black, as used by the LAPD, they go for way more money. Make a deal that you can live with and you can either have it as is or you can make a NYPD bar of it. You need two Signal-Stat 374 with clear lenses and red/clear sealed beams (4416/4416R or 7400/7400R). The NYPD bar had red to the front and amber to the rear. I am not sure if it was 4001R to the front and 4434A to the rear. If those are genuinely Trio T-2 lights (should be stamped in the top of the housing) do whatever you have to do to take them home. They are valuable and are increasing in value every day. At first I thought you had found a CHP-style A-Bar, but I was wrong. It looks as if this shop-made CHP bar was not one single can light back and front, but two separate lights per side. The bar in post #6 look like can also, unless it is illusion. Looks just like the bar in the original post. @dmathieu They are definitely the can style bulb mounts. Look closely at the blue side. Has a long, cylindrical profile. @hawkspringsfire If you can grab that bar, try your damnedest to do it. That's one I wouldn't let slip away ! I believe you are right, Dan. CHP did experiment with a few T-2 style lighting setups. Pretty sure this 1974 Dodge Monaco is sporting one. If they added a 2 or 4 beam red beacon to the middle, that would've worked out nicely! That's what I was thinking. And @CrownVic97, I didn't even think to look at the reflection in the hood. With the OP being from Wyoming, it would stand to reason this might have been a CHP bar that found its way east a bit. And it's definitely a shop-made, after-the-car-entered-service install. The 77-78 in the picture I posted has the rear deck lights. The rear deck lights were only installed in cars that were slicktops. 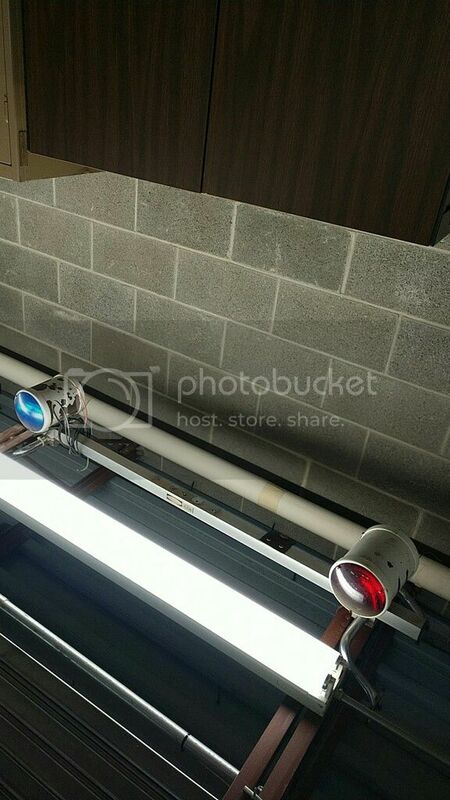 Cars with lightbars didn't have the rear deck red/amber lights.